English rugby is pretty much in the doledrums following a World Cup campaign that can best be described as a ‘fiasco’, in which the Rugby Football Union leaked on players, the players leaked on each other and Mike Tindall did a bad thing with a blonde lady in a Queensland bar – or so is my limited understanding on the matter. In short, it needs fixing. Fixing by someone. A hero. A heroic someone. 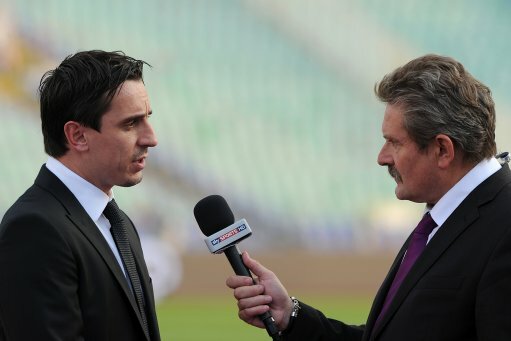 There’s only one logical choice: Gary Alexander Neville. According to the BBC, the new England coach Stuart Lancaster has flashed the Nev Signal across the night sky of Gotham City and asked Neville to deliver a motivational speech to his squad this very afternoon ahead of the Six Nations getting underway next month. Neville – along with some cricketer and an injured soldier – has apparently been asked to address the concept of ‘playing and fighting for your country’, drawing on his experiences with England at Euro 96 for inspiration. “Gary never turned down playing for his country. He is one of the most capped England players ever. He was frustrated, because he never felt he achieved with England what he wanted to achieve. “He wants to help the players understand that, when you are playing for your country and you get it right, like England did at Euro 96, how powerful that is, to get the nation behind you. “The ‘Three Lions on the shirt’ – we all felt that. Gary wants to help our team get that feeling. His message is good. He is not doing this for any other reason than he wants to try to help. Yeh, Rugby is a game littered with disgraceful people and, quite frankly, makes football look like a royal dinner party. @Al: took the words right outt’ve my mouth, LOL. the first thing i thought when i read this was “they should’ve got roy keane”.